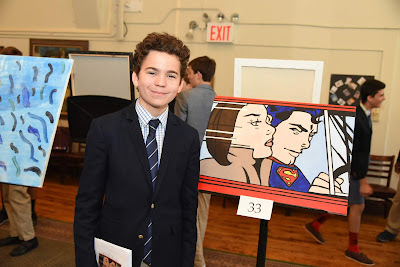 Warhol, Banksy, Close, Kandinksy, Basquiat and Lichtenstein were a few of the masters of modern art who inspired our eighth graders' Arco projects this year. 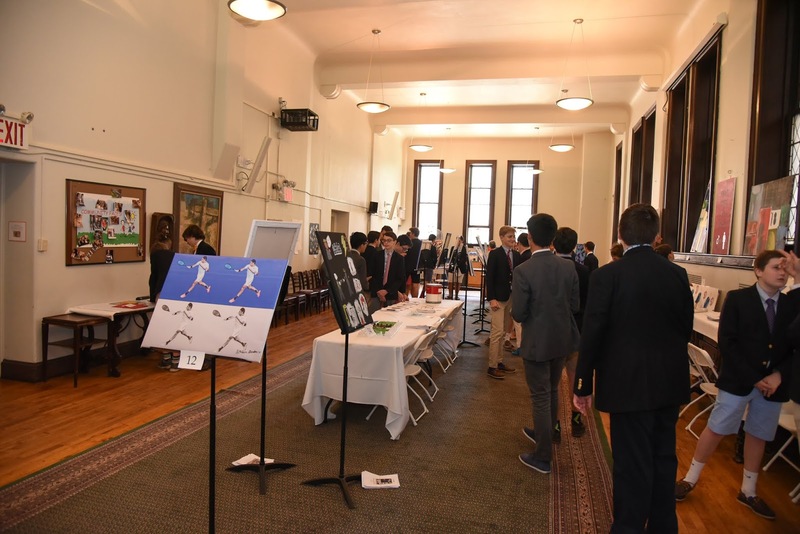 For the final major project in their humanities class, the boys are challenged to create an original piece of work in the spirit of a famous artist. 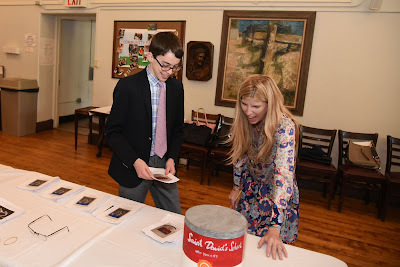 Under the guidance of their teacher and Art Historian, Nancy Iannicelli, boys research the artist, and write a brief biography as well as a reflection on their process in creating the work which includes challenges that they faced from conception to realization. The boys' works were exceptional and thematically wide ranging. 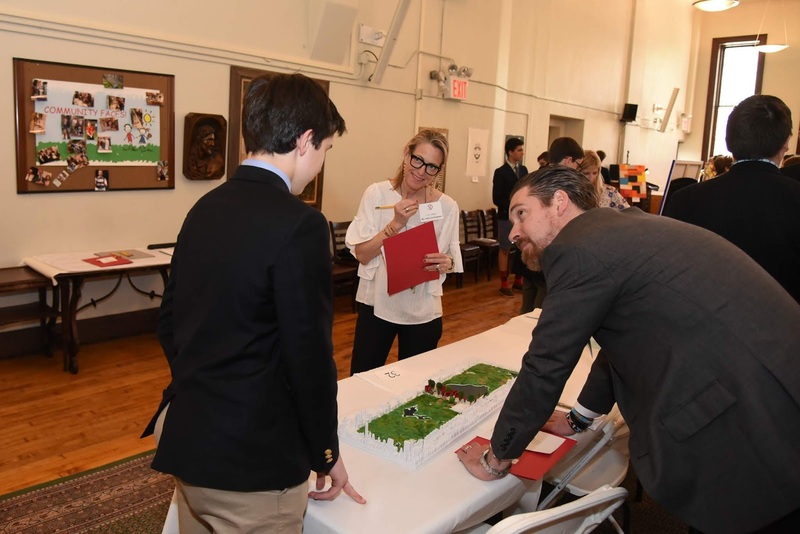 Some referenced the school they will soon be graduated from; others spoke to social or geopolitical issues; while still others focused on personal philosophy and aesthetics. 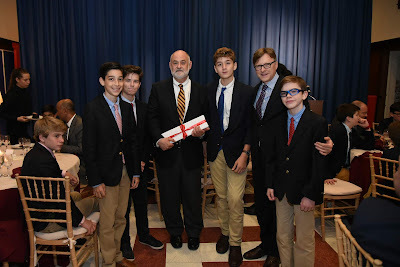 This is the first class to have engaged in our partnership with the Guggenheim as seventh graders in "Learning to See through Art"-- an intensive observational drawing unit conducted in the Thannhauser Gallery of the museum. The unit builds the boys' confidence as artists, as they master drawing skills and techniques while closely studying the works of modern masters. 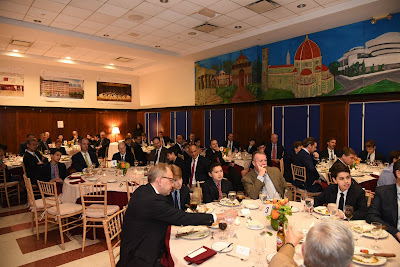 This positive effect was most certainly on display last week in this seminal experience that interweaves art, art history, rhetoric and analysis. 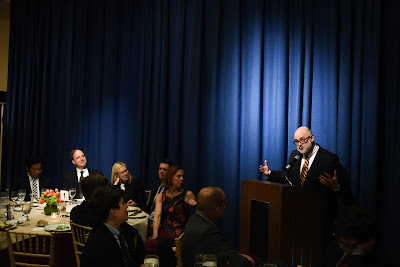 Lawrence Hirsch told stories: Kangaroo intestines were successfully used to set a shoulder injury he sustained after being stabbed by a soldier with a bayonet, who had failed in his previous attempts to shoot him. The yarns he could spin with alacrity! Presented as truth, often embellished or fictional, they unspooled in ways that were entertaining and always contained a message. He loved to tell stories. 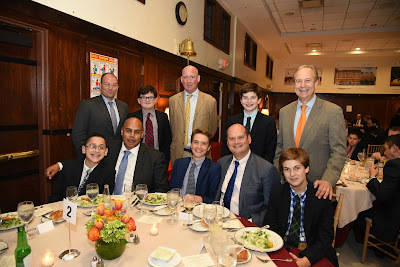 Lawrence's son, Peter Hirsch '82, captivated all of us with his own storytelling gifts and wise words about the father-son relationship, at our annual Seventh Grade Father/Son Dinner on Wednesday night. Peter is the Emmy and Peabody Award-Winning Head Writer of the Curious George and Arthur series. He is also a Saint David's alum who traces his first significant piece of writing to an eighth grade short story assignment at Saint David's. Although he never set out to be a television writer, after being offered a chance to write scripts for Arthur, Peter found that the themes he could write about, such as jealousy and greed, were universal, the same ones that he might tackle in a novel. At that point, he said he stopped "treating the job as a gig, and made it a passion." It was having a father who so clearly delighted in crafting and sharing stories that inspired him to cultivate his own writing. Peter encouraged the boys present to cherish the stories that their own fathers tell: "They are priceless." 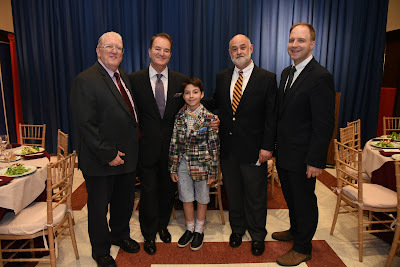 To the dads present, his advice was to "choose your stories wisely," for the "stories dads tell live on through their sons." During the question and answer segment of the evening, Peter touched upon writer's block ("It's not about writing, it's about fear.") and his favorite book (Anna Karenina), among other topics. It was a pleasure to listen to Peter. He gave us with wit and wisdom, much to digest about the influence of a father and the importance of finding one's passion. 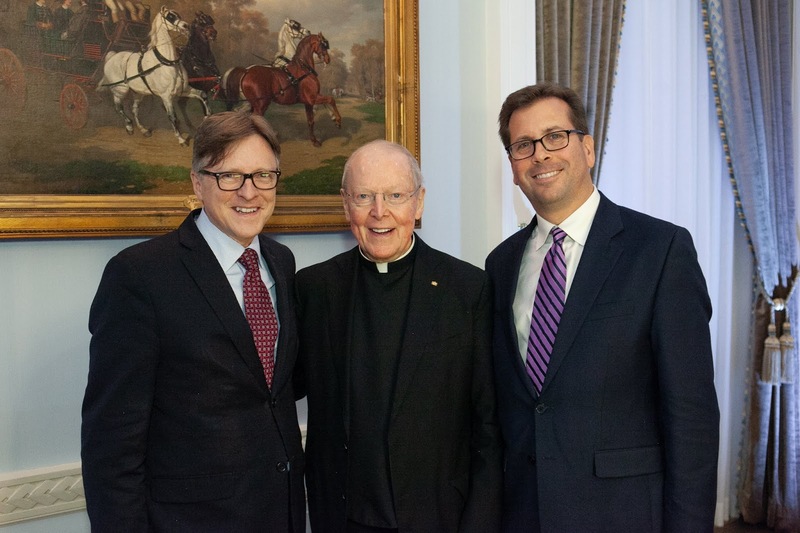 Our gratitude to Peter, to current parent and Peter's good friend Bob Lorenzo, and to Assistant Director of Development John Dearie '95, for bringing the evening to fruition. 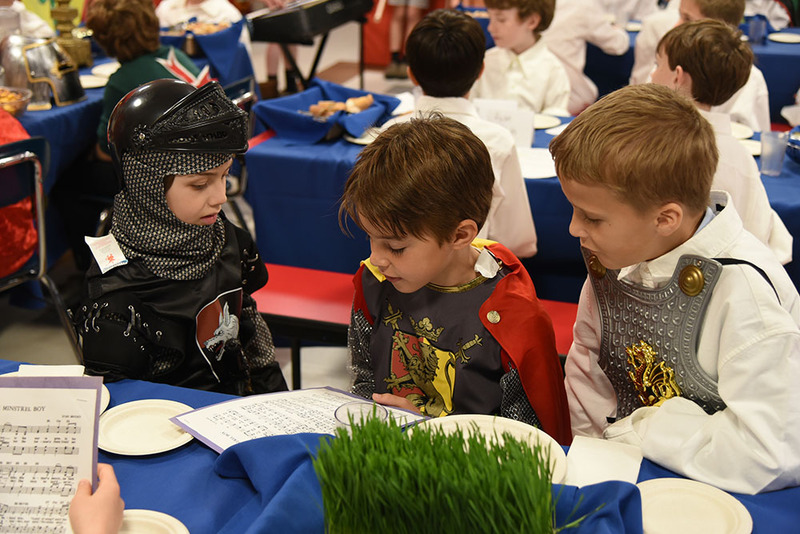 Thanks also to Cater to You, our dining services, for a delicious meal. This Seventh Grade Father and Son Dinner is an annual special event in which fathers and sons explore what it means to be a good man, the relationship between parent and son, and other mission-inspired themes. I recently had the honor of dubbing each of our third graders a Knight of Saint David's. 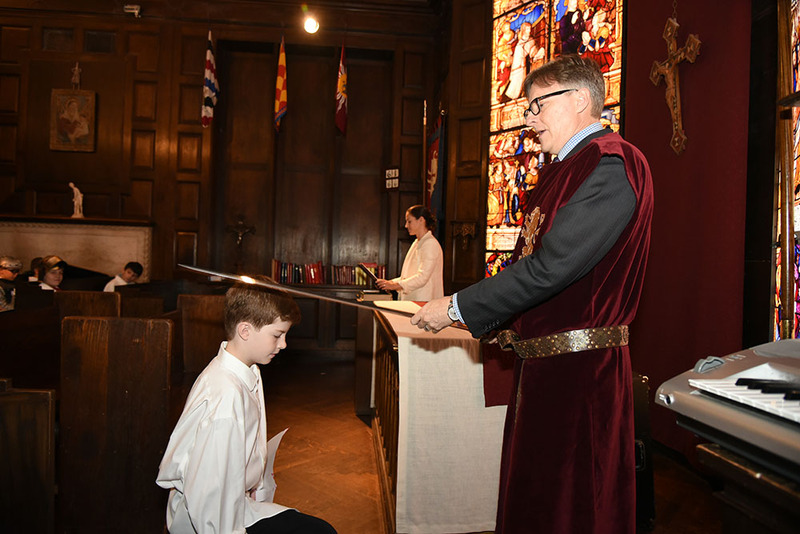 This Saint David's tradition marks the boys' acceptance of their call to be leaders -- to be all that they can be-- as they prepare to transition to the Upper School. This year's transition will be exceptional: in September our boys will enter a school re-imagined and redesigned through our expansion. 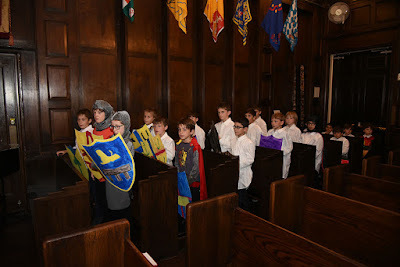 The Knights prepare for this ceremony through interdisciplinary study of medieval times: its traditions, customs, symbols. 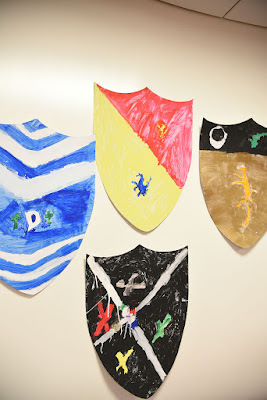 I loved the boys' Coats of Arms: they were creative, symbolic and meaningful, and reflected the insignia and symbols of the middle ages. 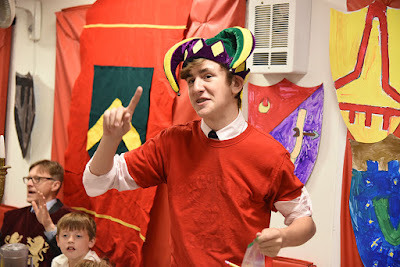 All in all, it was a most magnificent ceremony and feast! 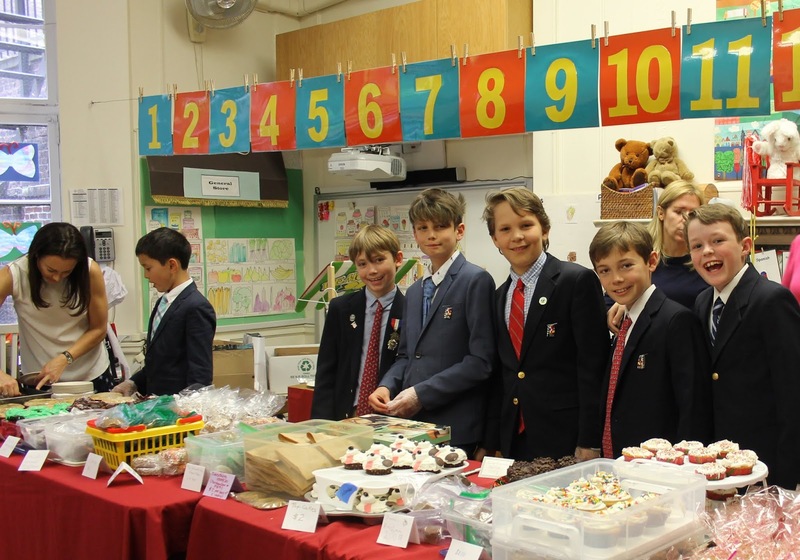 The day is made possible each year through the work of so many, including the boys' teachers, our music department, and our dining services. Their efforts produce a memorable tradition that reflects the ideals espoused in our mission and also is a great deal of fun. Congratulations to all of our new Saint David's Knights. Well done! 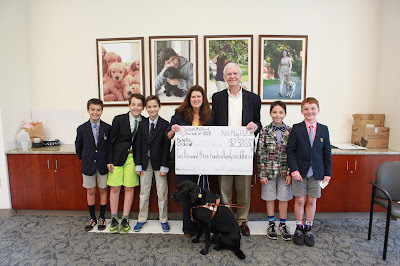 Pennies for Puppies is our fourth graders' signature service project in which the boys support The Seeing Eye, a non profit organization that breeds and raises puppies to become Seeing Eye dogs, trains guide dogs, and instructs blind people on the proper use and care of the dogs. 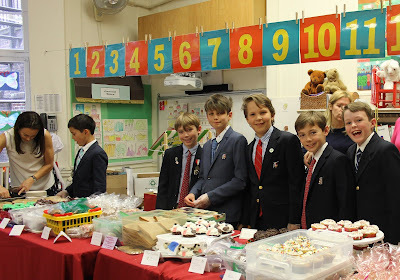 Not only does this project entail their planning, marketing and executing a bake sale fundraiser; our boys also learn in depth about the organization, the roles of guide dogs, and meet with people who are visually impaired to learn about their experience. Last week they visited The Seeing Eye's facility in Morristown, New Jersey, for a tour and discussion and to present The Seeing Eye with a check for the more than $2,300 their bake sale raised. Spirituality manifested through action for the good is a cornerstone of a Saint David's education. 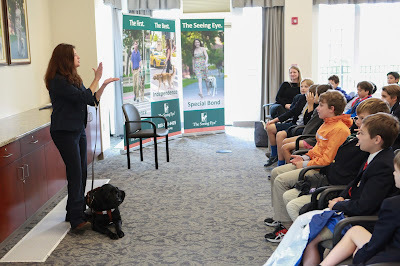 Through Pennies for Puppies, the boys also have an opportunity to appreciate and learn from difference. On Friday, Dan Tobon '97, who participated in Prep for Prep, and Javier Piggee '97, who entered Saint David's in the first grade, visited the school to share their experiences with our current sixth graders, who will welcome two new classmates from Prep for Prep in September. They were joined by John C. Dearie '95, Assistant Director of Development, who spoke from the perspective of a student who welcomed Prep for Prep classmates when he was in seventh grade. Saint David's has enjoyed a longstanding partnership with Prep for Prep, which prepares New York City's most promising students of color to excel academically and socially at leading independent schools. 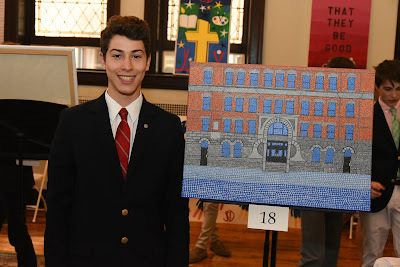 Dan and Javier reminisced about the strong bonds they formed at Saint David's and the impact of their teachers, and noted our school's welcoming, warm community. The panel discussed the potential challenges faced by these students, such as long commutes, and offered advice to our sixth graders on how to welcome their new classmates and make them feel at home at the school. It was great to see Dan and Javier, and so good of them and John to share their experiences. 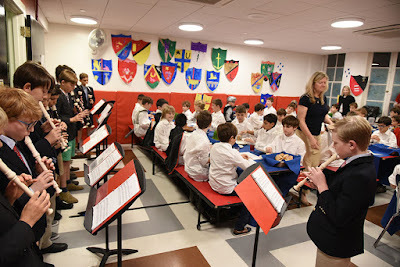 Our sixth graders came away from the discussion with a greater sensitivity to the challenges the incoming students may face during their transition to a new school environment - as well as an appreciation for how much they can learn from each other. 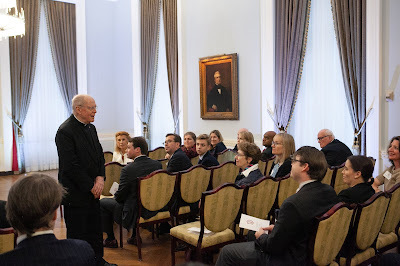 Leo J. O'Donovan, S.J., was the featured speaker at Saint David's Networking Event on Wednesday evening at a midtown venue. Father O'Donovan, former President of Georgetown University, spoke passionately about the growing refugee crisis and his current work as Director of Mission for the Jesuit Refugee Service, which advocates for the rights of refugees and other forcibly displaced persons worldwide, working to meet their educational, health, and social needs. He encouraged all to remain informed about the issues in the world and to take deeper roles within our personal communities of family and friends. He also took several questions from the alumni, alumni parents, current parents, and faculty in attendance. One involved Catholicism's relations with other world religions. Father O'Donovan stressed how important and valuable it is to sit down to a meal with people from differing religious background, which enables you to learn so much, both through the conversation and the types of food consumed during the meal. In response to another, he encouraged those interested in pursuing MBAs to seek to do good and to give back through their business endeavors. 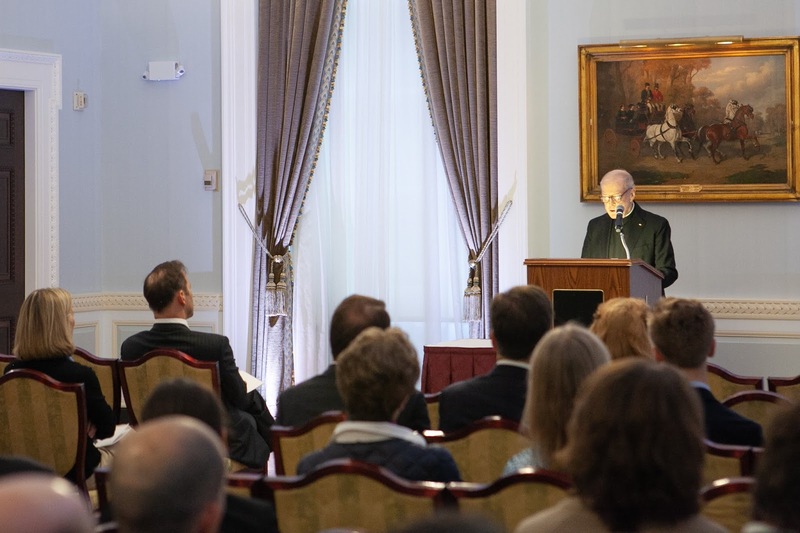 With its focus on caring for other people, the Jesuit motto (Men and Women for Others) is closely aligned with that of Saint David's (That They Be Good Men). The evening event was a perfect blend of both. 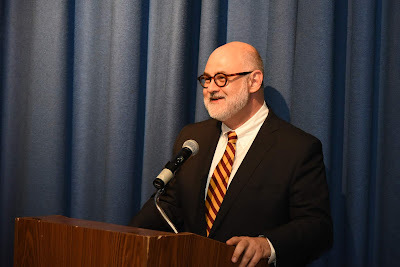 A special "thank you" to the Alumni Council and its Chair, Greg Landegger '85 P'17 '26, for organizing this year's event, which was its tenth installment. 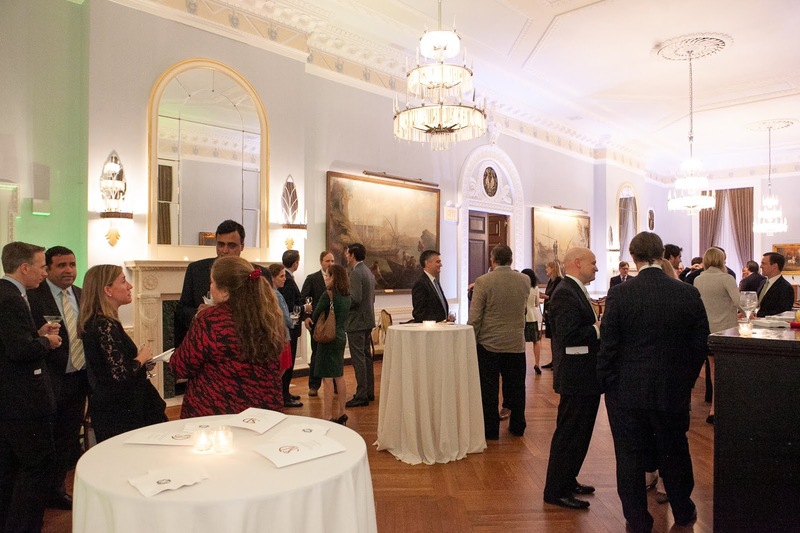 The Networking Event is an occasion for alumni, current parents and parents of alumni to network together. Whether it is for professional, academic or social purposes, this is an opportunity for us to help and support those within our extended community. Red Lacrosse won the 2018 MPMSL title yesterday evening in a 10-4 victory over St. Bernard's on Randall's Island. The team was undefeated this season, and this marks back-to-back MPMSL titles for Red. Throughout the season, our boys have demonstrated great skills, mastery, confidence, and the good sportsmanship that honors the game. Congratulations to all the players and coaches Evangelista and Russo! In a new robotics unit, our sixth graders are employing their knowledge of astronomy from their recent Digital Universe Field Study. The boys are building, programming, and operating their own model Mars rovers, using LEGO Mindstorms. They work in small, collaborative teams to solve a series of challenges, such as dropping off supplies or moving objects on the planet. This project requires the boys to think critically as they test and revise mechanical systems and digital sensors, and build and debug code. They are free to take risks, since it is easy to take apart designs that aren't working and to try something different--allowing them to work according to the engineering design process.